Dr. Yang explains Taiji Philosophy and demonstrates the 13 Basic Patterns, the stationary and moving Taiji Qigong form, and the complete Yang style form. 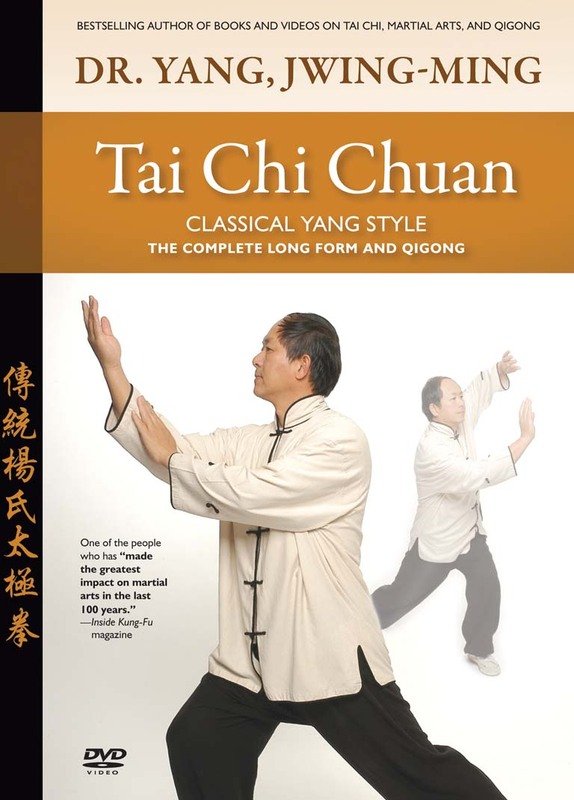 Not only an instructional DVD, but a living document designed to preserve a cultural tradition from the original Yang Style lineage. Practice of this living and vital form will develop a healthy and relaxed body, a clear mind, and a strong sense of martial intent. This Taijiquan (Tai Chi Chuan) program offers enough content to build a solid foundation for a lifetime of practice. This bestselling DVD pushes the boundaries of what the DVD format is capable of, and offers multiple audio streams, many subtitle languages, and 4 hours of video content. SPECIAL FEATURES: Hundreds of Scene Selections • Interactive Feature: Click the Yin/Yang Symbol to open up In-Depth instruction of each movement • Over 2 hours of DVD-only content • Language: English, French • Subtitles: English, Spanish, French, Italian, Dutch, Polish, Portuguese • Interactive YMAA Product Catalog with Previews of all YMAA Videos • Biography: Dr. Yang, Jwing-Ming • History: YMAA Publication Center, & much more!